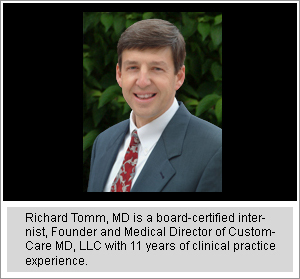 Dr. Tomm was born and raised on the Westside of Cleveland and married the love of his life in 1992. Pam and Dr. Tomm currently reside on Cleveland’s Eastside with their three children: Nathaniel, Sharyn and Derek. Dr. Locke lives in Shaker Heights with his wife Susan of twenty years and their daughter Annie. Their son Alex is currently attending Davidson College. Ann resides in Chagrin Falls with her husband Bruce of twenty six years. Ann and Bruce have two daughters. Their daughter Karen attends the College of Charleston. Their daughter Lynn and her husband Roger relocate to where the US Army assigns Roger. 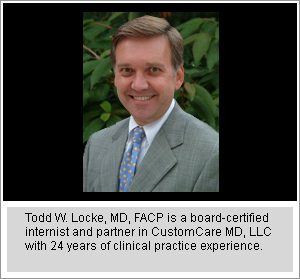 ·	Office Manager/Clinical Nurse, Thomas Gruen, M.D. Riitta and her family live in Concord Township. She and her husband Dennis have been married since 1985. They have three children: Jason, Lydia and Emily.